30 June 2017 – The board of TiFN is pleased to announce the appointment of Dr Ronald Visschers as the new managing director. Ronald Visschers succeeds Marian Geluk. The appointment will be effective 28 August 2017. 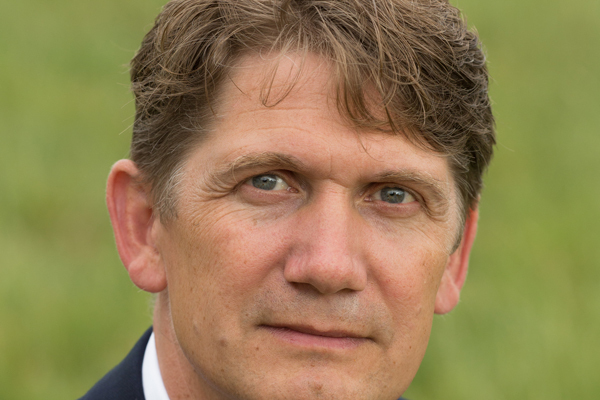 Currently, Ronald Visschers is a principal advisor at TNO where he is responsible for the innovation strategy in the area of food quality and production. He holds a PhD in Biophysics from the Vrije Universiteit in Amsterdam and has been active in food research and innovation since 2000 when he joined NIZO Food Research. In 2008 he joined TNO as a programme manager and business line manager. In his new role, Ronald will actively forge international public private partnerships innovation programs that strengthen the position of the Dutch Food sector and its innovative strength such as the Sustainable Food Initiative (SFI) and the World Food Center (WFC) research programme. “We are pleased that we can appoint Ronald Visschers as the new managing director. The Dutch food industry is rapidly gaining innovation strength and we expect that TiFN can play an important role in the new exciting developments such as the SFI, WFC and the Dutch topsector policy” say Krijn Rietveld and Margrethe Jonkman, co-chairs of TiFN.